STRATEGIC REMARKETING · 9-MINUTE READ · By Tina Arnoldi on November 8 2017. 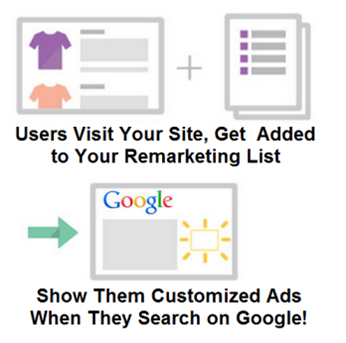 Remarketing is a good addition to any advertiser’s toolkit but it needs to be strategic. Your prospects are not everyone and the same applies to your remarketing lists. You have loyal customers and prospects that are deciding whether or not to buy from you. With bidding options described in this post, you can adjust your bids and strategy for a specific audience. Identify your users with a tool such as Google Analytics then develop a strategy for each segment. Visitors who make a purchase for an item that is generally only purchased once a year could be excluded from remarketing for a set period of time. They become a negative audience, a group you intentionally do not want to advertise to. People who visit your site multiple times are more valuable than those who never visited so you may want to bid aggressively for that segment. Regular visitors who make purchases every month or week, should have higher bids. You can go even more granular and use separate bids for those who spend over a certain amount, the users that result in the most revenue. With Similar Audiences, you expand even the smallest list to reach new prospective customers. These are people who look similar to a certain segments of known audiences, such as converters on your website. Similar Audiences for the display network have been around for a while. Similar Audiences for Search and Shopping however, are fairly new. This list is based on a remarketing list which may include existing customers imported from your CRM database. Google uses your data to find people who searched with similar queries both before and after visiting your website. 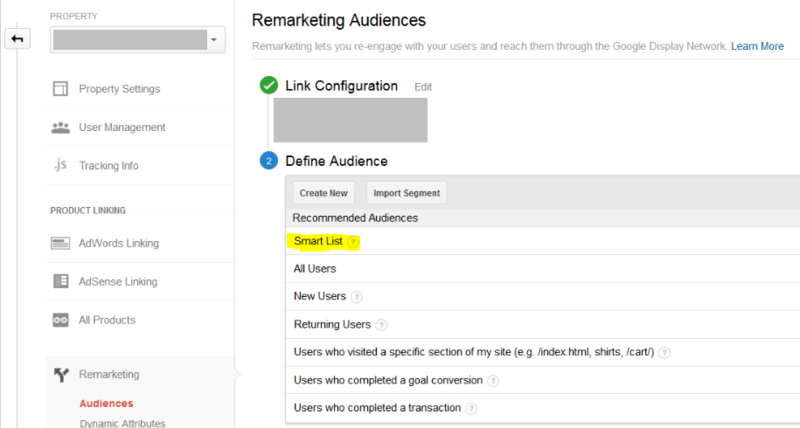 Your original remarketing list is automatically excluded in the new Similar Audience list. And users on the list are refreshed every 24 hours so they will be added or removed based on recent behavior. Machine learning ensures your Similar Audience is always up to date. This allows advertisers to do real-time prospecting to potentially valuable customers. With bid adjustments for a Similar Audience list, marketers can boost the performance of campaigns. Wordstream reported that Similar Audiences reach an audience 7 times larger than in an original RLSA audiences, which makes this worth exploring for most advertisers. With a smart list, “Machine learning determines which users are most likely to convert in subsequent sessions.” It identifies which customers are more likely to convert in a future session and dynamically manages that list. Helpful when there is not enough data yet on a remarketing list yet, it also offers an opportunity for marketers to target users that are the right customers based on signals other than an existing website. Although many people set up new campaigns for RLSA ads, creating a new campaign requires extra time to build and monitor performance. Instead of creating a new RLSA campaign from scratch, build the foundation for it by including audiences as an Observation (previous known as a Bid Only in the old version of AdWords). In the new version of AdWords, these Observations are available for Display, Search, and Shopping Campaigns. With this method, where you use observations as building blocks, you collect performance history in your existing campaign rather than start from scratch. When you create a new campaign and set it to targeting (previously known as target and bid), you immediately limit to a narrow audience. Instead, collect data for an Observation group, then create a separate RLSA campaign if different messaging is a key strategy for one of the observed segments. Google shared a lot of exciting news at Google Marketing Next in 2017, including their roadmap showing the power of artificial intelligence. New audiences are some of the features marketers are very excited about. Combined with real-time insights from Google, AdWords will result in better reach and precision with defined audiences. Life Events is a new audience that reaches people during key milestones. In our day-to-day lives, 45% of what we do is a habit. But shopping habits are likely to change during a major life event, such as leaving for college or getting married. This is an opportunity to get in front of people when they are likely to make a change. If a life change results in a change in shopping patterns, advertisers need to be visible to be considered. Being there for the important life milestone is an opportunity for brands to impact these ingrained habits. Marketers have broad reach across the device of choice, real-time data based on recent browsing behaviors and can understand their users beyond the basic demographics. Consumer Patterns are another new opportunity to reach an audience based on their consumption habits. You can view a segment of the Google Marketing Next talk on Consumer Patterns and Life Events below. The other feature is In-Market Audiences for Search which will allow advertisers to reach people ready to buy on Google.com, no longer limited to the Display Network only. Think of people browsing on search as comparable to an affinity group on the Display Network – people just surfing. But identifying in-market audiences – people getting close to a purchase decision – on the Search Network will help reach intenders rather than interest only, resulting in an improved ROI. If you have not been in Google Analytics in a while, first spend some time in there to learn about your visitors. As you begin to understand their interests and demographics, you can serve ads with relevant, powerful messages across all platforms and devices. Be cautious to not go too granular from the start because you could miss opportunities. Fortunately, there is no need for overcomplicated lists since Google offers machine learning. By starting with Observations rather than Targeting, you collect data before optimizing for specific segments. Once you have performance data, then you may want to expand your reach to new qualified users that you have not connected with previously by using features such as Similar Audiences. Over time, you’ll see more value from your advertising as you add context and understand behaviors. With audience solutions from Google, you can expand to people who have never heard of you and better serve the ones who already know you.